Another day another dating update, these are coming more regularly now but I kinda like it. I kinda like being able to look back at my datings dramas, tips and of course what to do better next time! New year goals...what does that include? I know for one mine is to update my dating profile and to hopefully get back into the swing of dating again. The importance of a good dating profile was made so apparent today. I was sat discussing dating profiles and photos with my single friend. He had started speaking with a girl online - met through a dating site and all was going really well. They had arranged to meet and as with any other singleton decided it would be best to stalk the social media pages. This is where trouble set in, her photos were completely different! It's really important when setting up dating profiles that all of your information, along with your photos are accurate and are actually you. 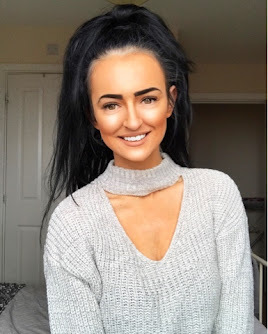 We all know everyone only wants to be seen in their best angles but this can cause trouble when photos are over edited and look nothing alike who you actually are.